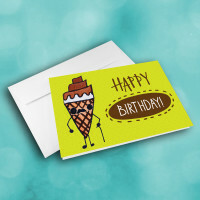 Send a sweet greeting on someone's special day with this sweet-treat birthday card. 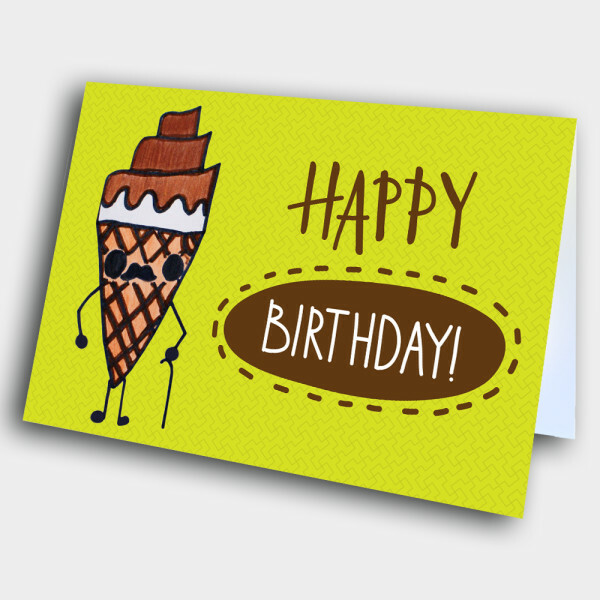 This sugary birthday design makes for a very unique birthday card. 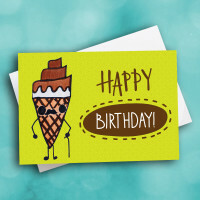 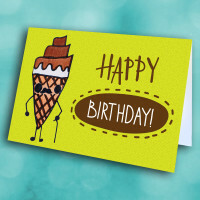 A mustachioed ice-cream cone wishes you a sweet and simple "Happy Birthday! 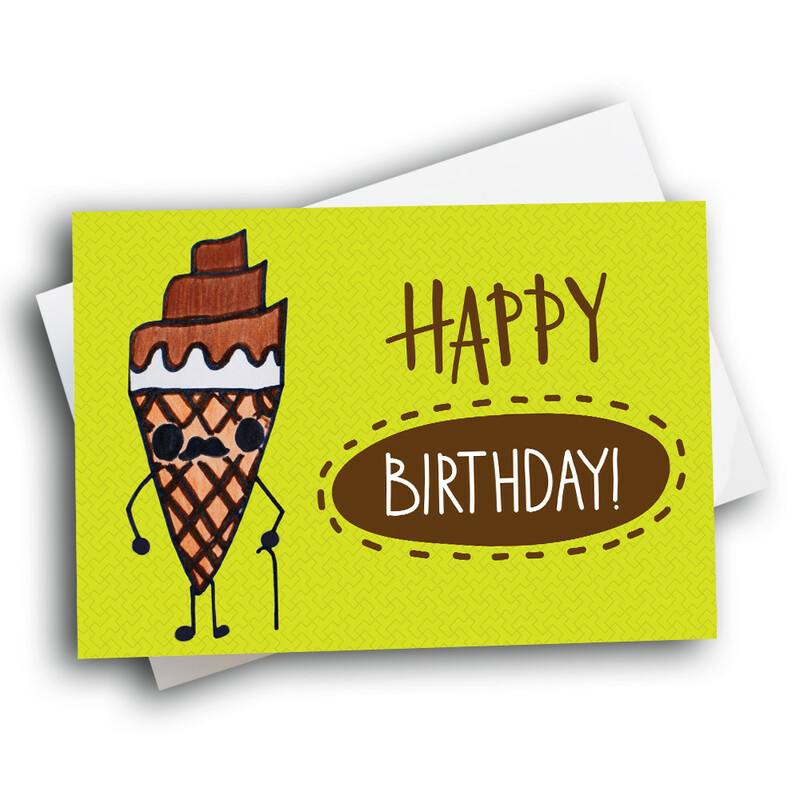 ", set against the golden, patterned background. 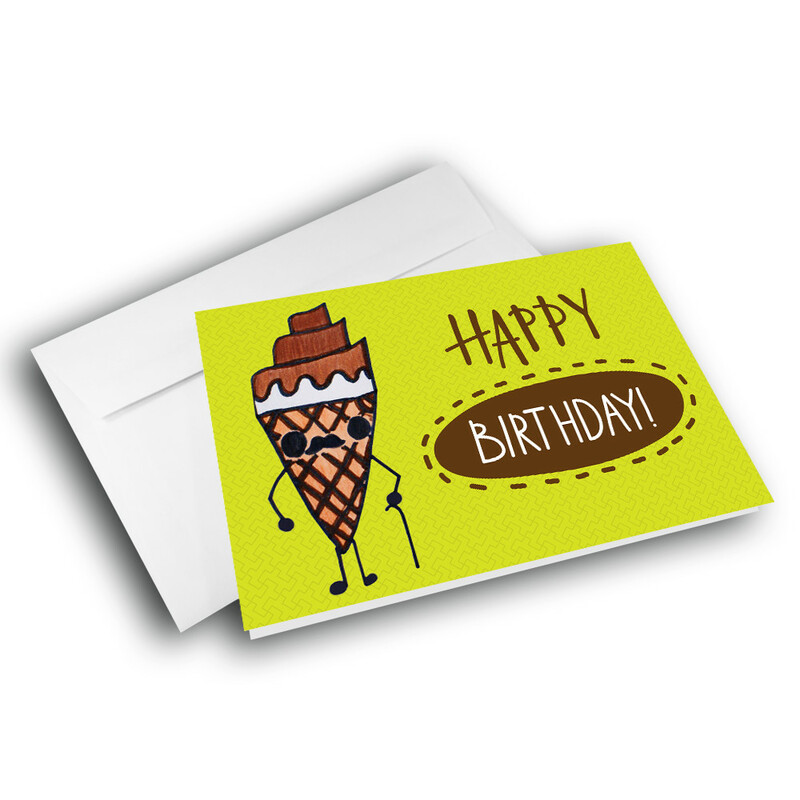 Customize a message inside to make this a personalized birthday greeting card.